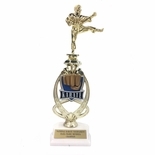 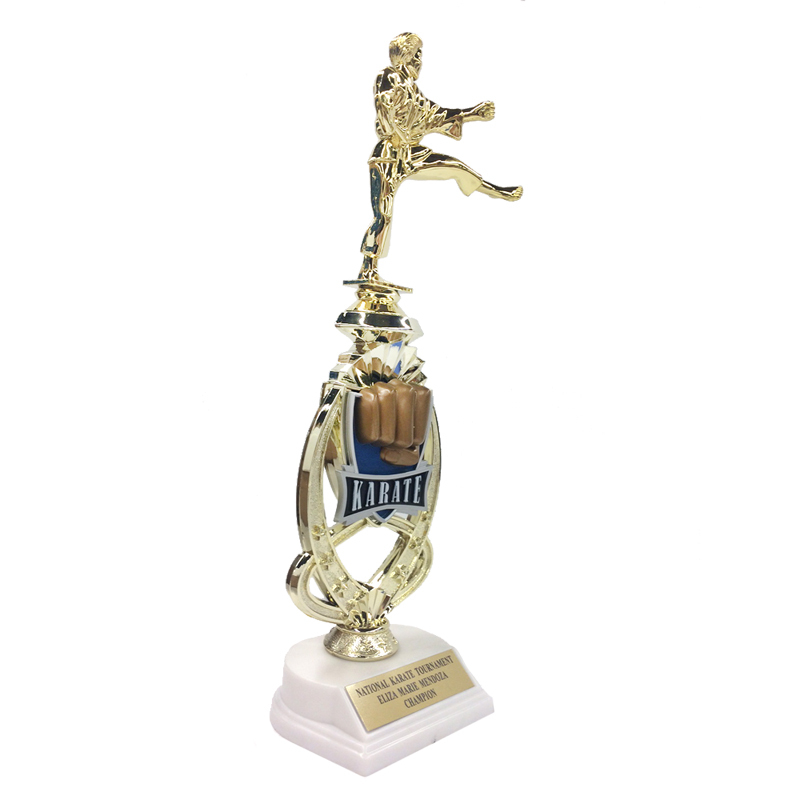 Item description: 13 inch male karate trophy riser with figure on white marble base. 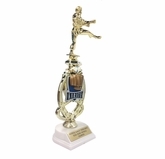 Comes with matte gold engraving plate. 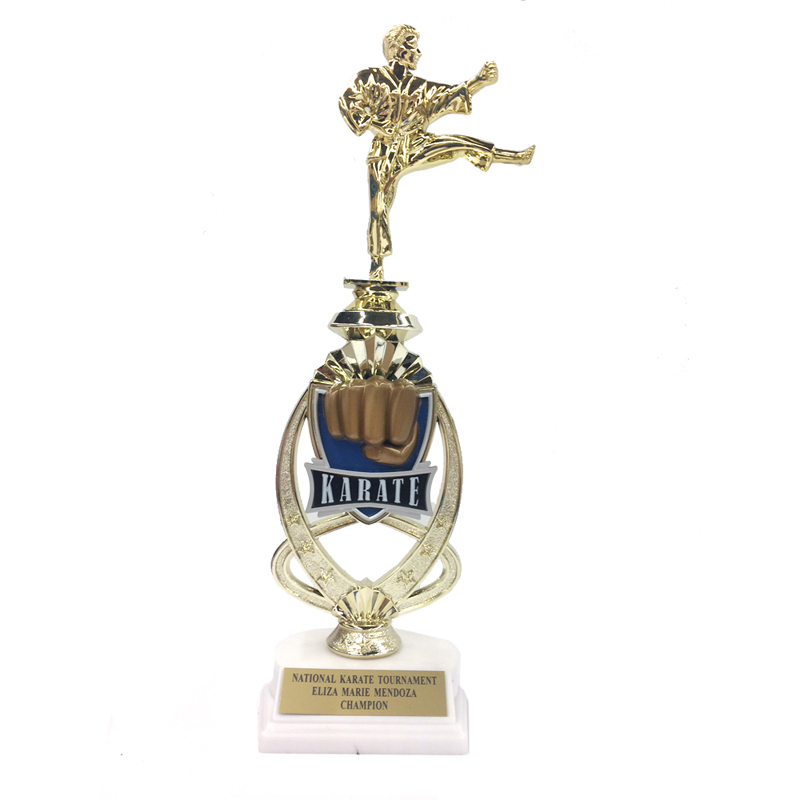 Base dimensions 3 x 2 inch.